Amazon has two great offers when you pre-order yet to be released kids games! Pre-order LEGO Marvel and Receive $10 Amazon.com Credit – releases October 22nd! 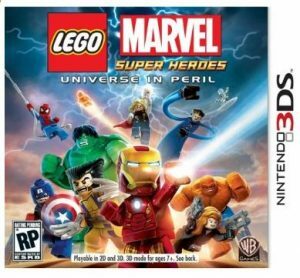 Pre-order LEGO Marvel (Nintendo DS version not included in promotion) and receive a $10 Amazon.com credit toward the purchase of items shipped and sold by Amazon.com (certain exclusions apply, including but not limited to Kindle books, Gift Cards, and Amazon Appstore for Android apps). We will send you a promotional code via email within two days after your order ships. Offers valid when shipped and sold by Amazon.com. Amazon reserves the right to change or terminate these promotions at any time. This offer will be extended to all existing pre-orders. Limited to one per customer order. 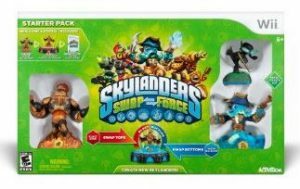 Pre-order Skylanders SWAP Force and get the never before released Lightcore Hex* – releases October 13th! Pre-order Skylanders SWAP Force and get the never before released Lightcore Hex*. (*Lightcore Hex has never been released in North America.) We will email you a promotional code to get Lightcore Hex for free from Amazon.com within 1 business day after your order ships. This offer will be extended to all existing pre-orders. Offer valid when shipped and sold by Amazon.com. Amazon reserves the right to change or terminate this promotion at any time. Limited to one per customer order. This is a limited time offer, and a limited number of promotional codes and Lightcore Hex characters are available.